Kondo’s masterpiece was the 211-based Ongaku amplifier, which achieved worldwide recognition shortly after Audio Note UK took over international marketing duties. The Ongaku features a multi-section output transformer hand-wound with silver wire, silver-foil coupling capacitors, and silver cabling. The Ongaku helped legitimize the SET genre and opened the floodgates to a host of SET designs at various price points. That, in turn, stimulated interest in high-sensitivity speakers suitable for low-power amplifiers. Thanks to Kondo and the Ongaku, horns and SET designs have regained their long-lost popularity, and today form a vibrant subset of high-end audio. 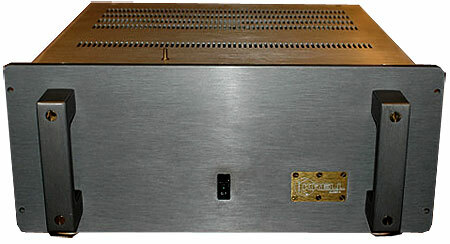 Although far from being the first power amplifier to employ a switching (Class D) output stage (that distinction belongs to John Ulrich’s SWAMP 1 for Infinity in 1976), the Tact Millennium (1998) marked a breakthrough in Class D amplification that was perfectly suited for the digital age and that, more importantly, transformed the traditional audio system. The Millennium takes in pulse-code modulation (PCM) audio data from a digital source and then converts that PCM data directly into the pulse-width modulation (PWM) signal that turns the output transistors on and off. That’s the entire signal path. The volume is controlled by adjusting the voltage supplying the output transistors. Digital-to-analog conversion is a natural byproduct of the switching output stage and its filter. Compare this signal path to that of a system based on a conventional Class D amplifier: a DAC with its DAC chip, digital filter, current-to-voltage converter, analog filter, and output buffer; the (typical) three gain stages in a preamplifier and its volume control; and the conventional Class D power amplifier’s analog input stage—not to mention all the switches, wires, circuit-board traces, and jacks. With a single stroke, the Millennium eliminated 90% of the circuitry we had long considered essential to an audio system, brought the power amplifier into the digital age, and invented an entire new audio-system architecture. When Stu Hegeman’s Harman Kardon Citation II was introduced in 1959, it was like nothing that came before it. 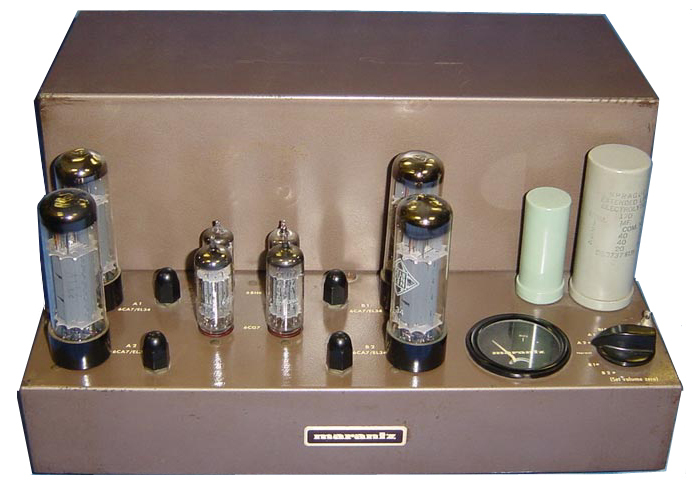 The Citation II was the first amplifier to deliver wide bandwidth, a criterion that Hegeman believed essential to lifelike musical reproduction. We’re not talking 50kHz extension, but bandwidth in the megahertz range, and this in an era when most amplifiers struggled to meet their power-output specification at 20kHz. To realize this ultra-wide bandwidth, Hegeman turned to high-frequency video-amplifier tubes—six of them, to be precise. 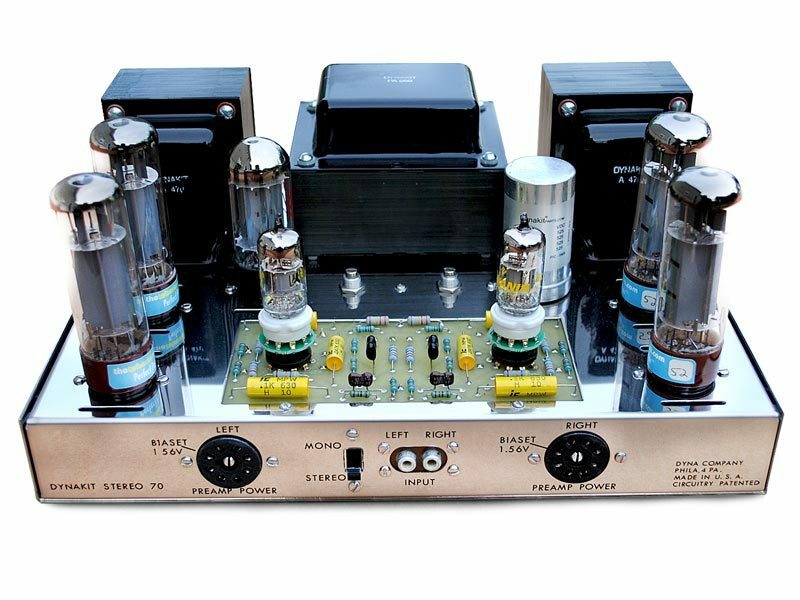 The 60W monoblock Citation II needed a new output transformer that wouldn’t restrict the amplifier’s bandwidth; it was a project that took more than two years of development. Hegeman was a freewheeling rover who loved music and never made an amp (or anything else) that didn’t pay tribute to the real thing. Still competitive today, this chocolate-colored beauty is seriously collectible. Dan D’Agostino’s dark, delicious, 50W Class A monoblock from the early 80s brought something to the table that we hadn’t gotten in quite the same way before: bass! Along with that remarkable low-end performance came enough current to drive impossible loads like Apogee ribbons or Sound Lab ’stats. One of the truly great, pioneering solid-state designs, the KSA-50 was perhaps the first transistor amp that could be justly called unflappable. It established the “dreadnought” build-quality of massive power supplies, lots of output devices relative to the output power, and the ability to drive the world’s most challenging loudspeaker loads. The KSA-50 and its higher-powered big brother the KSA-100 were the antecedents of a long string of great power amplifiers from Krell (and later from Dan D’Agostino Master Audio Systems), and the products that forced other manufacturers to step up their games with regard to bottom-end slam and bulletproof construction. This is a legendary amplifier, from a legendary company, whose commitment to quality of construction and design has never wavered, not even during the long, dark night of early solid-state electronics. The first Macs were built around the transformer that Frank McIntosh and Gordon Gow designed (and patented), one that allowed them to move beyond the power limitations of Class A design and into the region of much higher output, without the audible and ugly “notch” distortion that had thwarted such efforts in the past. Designed primarily by Sidney Corderman, the MC275 was one of the first tube amplifiers to sound truly neutral and offer high power (75Wpc was a powerhouse in 1961). Tim de Paravicini has said that the only audio circuit apart from his own he wished he’d designed is the “Unity Coupled Circuit” that debuted in the MC275. 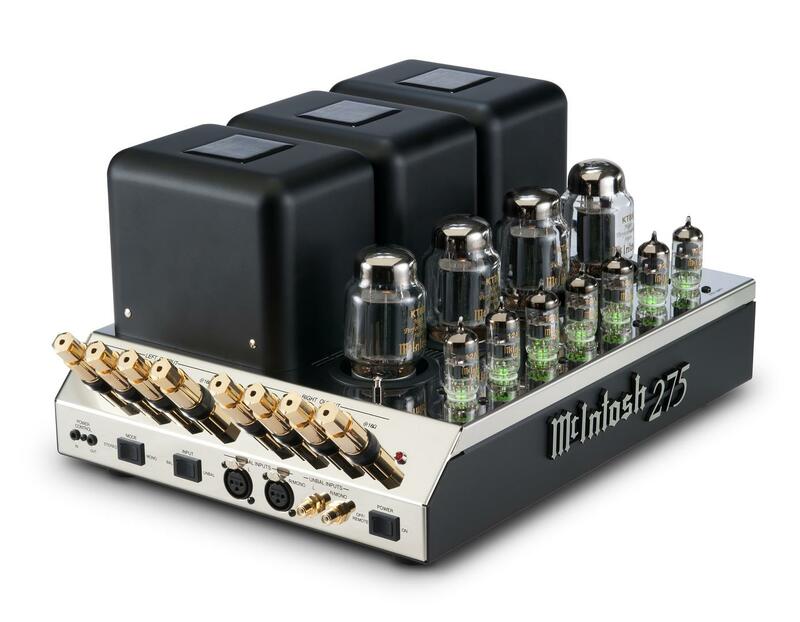 The MC275 has been restored, as McIntosh in the past several years has moved back into tube amplification production, with stunning results. 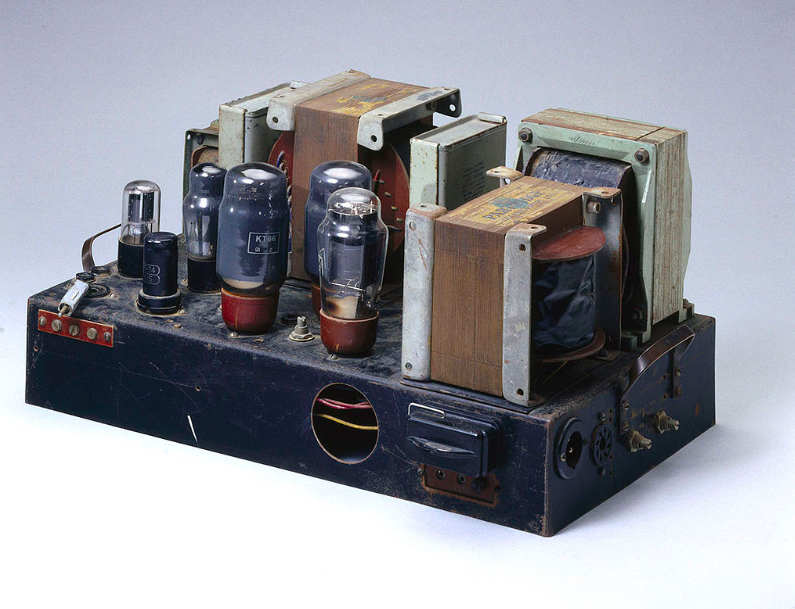 Preceded by the D75, D76, and D76A stereo amplifiers, this 150Wpc, 6550-based behemoth was the culmination of William Zane Johnson’s “first-generation” tube designs. An acknowledged classic from its debut in 1975, the D150 set the standard for high-power tube amplification in the 1970s and long after. 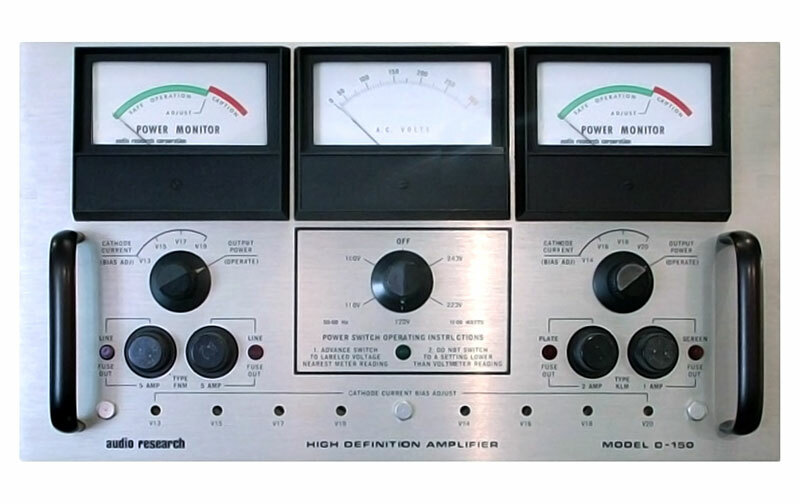 The very model of neutrality, low distortion, substantial power delivery, and “high definition” (in the midband, not in the lowest bass or topmost treble), it is still highly prized by aficionados and led to the development of higher-powered, lower-distortion, higher-resolution, fuller-range designs from ARC, such as the Reference 600 and the current Reference 750 SE. William Zane Johnson’s huge stereo amplifier was, in its time, a breakthrough in tube design, both in power output, and, in the more elusive aspects of reproducing a facsimile of a concert hall sound. Even the best solid-state designs could not then reproduce the three dimensions—the depth, much less the width—of a real-world soundfield, and reproduce them with something like a full range of dynamic contrasts. This amplifier could. Not only that, but throughout most of its range, the D150 captured the fundamentals and harmonics of the music, particularly the frequencies from the midrange on up. Thus, it had a hard-to-define (then) quality of naturalness, call it rightness, that made it unique. For experienced listeners, the D150 was such an overpowering (literally as well) experience that its audible flaws (highly colored bass, overly romantic midrange colorations, and a drooping top octave) were overlooked. The D150 had its teeth in the essential truth of music and wouldn’t let go. In that regard, it was a singularity. We could have chosen a number of Nelson Pass’ designs for this list—the Threshold Stasis 1, Pass Labs Aleph 0, Pass Labs X1000—but we’ve selected Pass’ first power amplifier under the Threshold name (1975), the 800A, because it launched an iconic company and signaled to the world that Pass was a designer of uncommon talent and original thinking. The 800A introduced active biasing that allowed the amplifier to deliver far more Class A power than conventionally biased Class AB amplifiers of similar size and heat dissipation. The trick was a variable bias scheme that biased the output stage into Class A operation in accordance with the signal dynamics rather than continuously. Other designers at the time thought that Pass had pulled a sleight of hand, but his active-biasing idea was simply an ingenious leap of imagination. The triple-series, triple-parallel output stage was also groundbreaking, and foreshadowed similar output-stage innovations in Pass’ later designs. 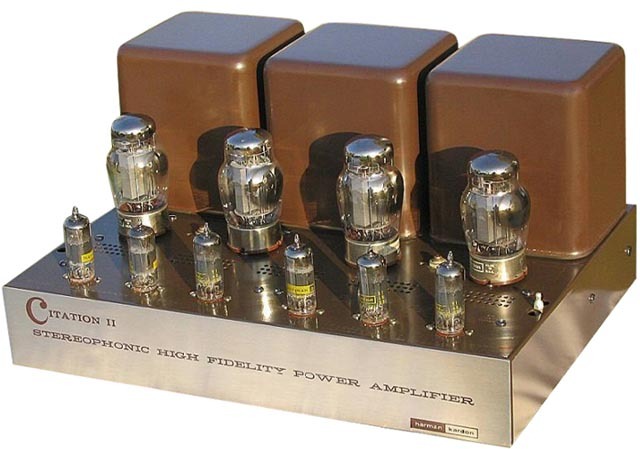 The follow-up amplifier, the 400A, brought the variable-bias technique to a lower price but maintained the innovative design as well as the gorgeous liquidity that made the 800A a benchmark. Introduced in 1962, the Sid Smith designed Model 8B represented the pinnacle of Class A Ultra-Linear design in its day, delivering a sweet 30Wpc from a pair of EL-34 power pentodes operating in fixed bias. But the later Model 9 monoblock eclipsed the 8B in output power and was the best tube amp money could buy back in the 1960s. A 70W (40W in switchable triode mode) monoblock, it set the standard for liquidity and gorgeousness of timbre in its day—and to some diehards still does. The Model 9 introduced several circuit innovations including an ingenious power supply that prevented the DC supply rail from being modulated by the music (a first), using four lower-powered output tubes rather than a pair of higher-powered tubes, and a frequency-compensation circuit than introduced no distortion at high output levels (another first). Legend has it that the first production output transformers didn’t sound nearly as good as the hand-wound transformers in the prototype, so Saul Marantz made the decision to have all the output transformers hand-wound in-house. The Model 9’s many latter-day descendants include the marvelous and still-very-much-with-us Air Tight ATM-3. Though dark and euphonious in tonal balance (the 8B was arguably more neutral), the Model 9 was and is so beautiful that many listeners forgive it its colorations. Designed by a young unknown upstart named Bob Carver (who would later prove to be one of the brightest and most innovative thinkers ever to grace audio), the Phase Linear 700 was the first high-powered blockbuster amplifier. 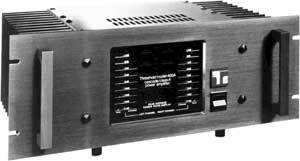 Introduced in 1970 when 35Wpc was the norm, the Phase Linear’s 350Wpc would change the course of the high end by ushering in a new era of high-powered amplifiers. The subsequent flood of high-powered amps in the 70s, inspired by the Phase Linear, in turn allowed loudspeaker designers more freedom to innovate, sparking a remarkable period of creativity in loudspeaker design. With a novel power supply, massive voltage swings (on the order of 200V when other solid-state amps could swing perhaps 35V), and transistors mounted on the outside of the chassis, the 700 brought fresh and original thinking to solid-state amplification. The Phase Linear 400, introduced two years after the 700, was perhaps the first of the big solid-state amps to offer high power without the usual price tag in graininess and odd-order harmonic roughness. Detailed, neutral, and transparent, the Phase 400 may not have generated all the wattage/voltage of its elder and bigger brother, but to some of us it sounded more lifelike in timbre and texture than the bigger PL. It was certainly a great buy at $500, setting a standard for affordable excellence in the 70s and 80s. The little-known and underrated Hadley Laboratories 622C aside, the John Curl designed ML-2 was the first solid-state amp to put the transistor on an equal footing with the tube. It featured Curl’s JFET complementary differential input stage, a circuit so remarkable that it would soon become a staple of virtually all high-end amplifiers (and remains so to this day). 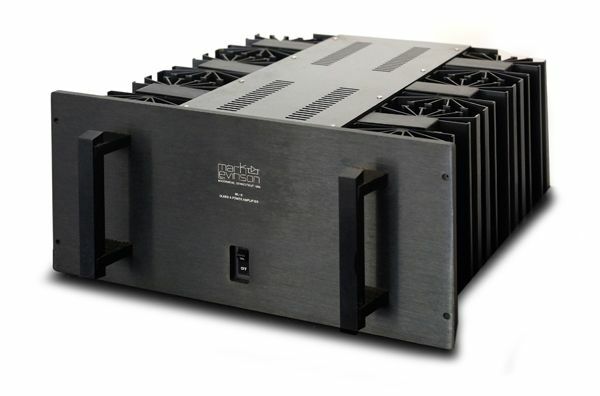 Introduced in 1977, these 25W Class A monoblocks (50W into 4 ohms, 100W into 2 ohms) from Mark Levinson Audio Systems set a new standard of clarity, liquidity, timbral beauty, and three-dimensional imaging and soundstaging for solid-state. The polar opposite of the grainy, piercing, high-in-odd-order-harmonics sound that many of us then associated with solid-state designs, the ML-2 proved that the transistor could make music as readily as it could generate power. The ML-2 gave new meaning to the word “transparency,” and set a benchmark against which all subsequent solid-state amplifiers were judged. Perhaps more than any other single product, the ML-2 exemplified, in performance and build-quality, the vanguard of the American high-end renaissance. Today, the ML-2 is the most collectable of all solid-state amplifiers. 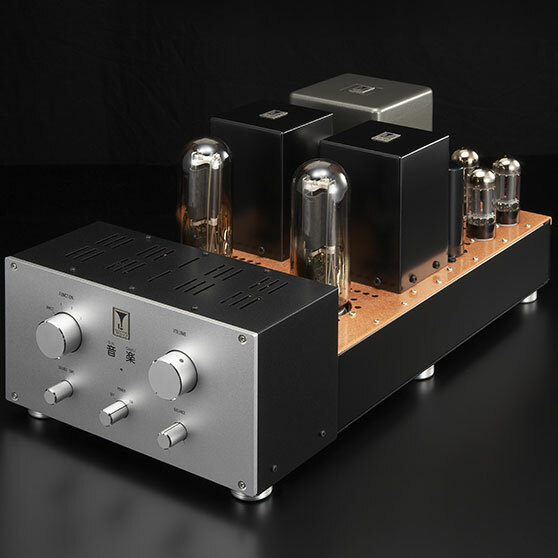 Sold as DIY kits or factory-assembled, this very affordable, highly-tweakable, 35Wpc, EL34-based stereo tube amp from David Hafler is the best-selling audio component of all time with over 300,000 manufactured. The reasons for its popularity are obvious: It was (and still is) a simply lovely-sounding amp—sweet, bloomy, forgiving, and relatively neutral and transparent for its day (though it didn’t do the frequency extremes like today’s tube designs do). The ST-70, and its descendants the Mk2 and 3 versions, came along just as stereo sound was being born; it was the right product at the right time. But the ST-70 occupies the second position on our list of the most significant power amplifiers of all time not just because of its sound or its low price and broad appeal, but because it became the blueprint (literally and figuratively) for the next generation of designers, including William Z. Johnson (of Audio Research) whose earliest tube units were built around the Dynaco chassis and parts (highly modified, of course). The ST-70 marked the end of the “high-fidelity” era, and set in motion the next great wave of products and designers that created the foundation of modern high-end audio. No matter how innovative and diverse the other most significant amplifiers on our list are, all of them can all trace their origins to a single amplifier: The Williamson. This progenitor of all modern high-fidelity amplifiers is as much a concept as an actual product. The name “The Williamson Amplifier” came to stand for any amp that hewed to the basic design principles and performance (0.1% THD at rated power) established by D.T.N. Williamson in a pair of articles published in the British magazine Wireless World in April and May, 1947. It’s impossible to overstate the sonic breakthrough and technical innovation the Williamson amplifier represented. Its distortion was an order of magnitude lower than previous designs (when measured over the entire audio bandwidth) thanks to several groundbreaking techniques. These techniques are so well established today that we take them for granted. But it was the Williamson that led the way.